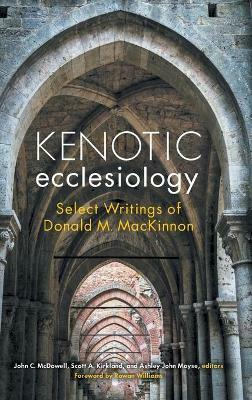 Donald M. MacKinnon has been one of the most important and influential of the post-World War British theologians, significantly impacting the development and subsequent work of the likes of Rowan Williams, Nicholas Lash and John Milbank, among many other notable theologians. A younger generation largely emerging from Cambridge, but with influence elsewhere, has more recently brought MacKinnon's eclectic and occasionalist work to a larger audience worldwide. In this collection, MacKinnon's central writings on the major themes of ecclesiology, and especially the relationship of the church to theology, are gathered in one source. The volume will feature several of MacKinnon's important early texts. These will include two short books published in the "Signposts" series during World War II, and a collection of later essays entitled "The Stripping of the Altars." John C. McDowell is director of research and professor of theology, University of Divinity, Australia. Scott A. Kirkland is honorary postdoctoral research associate at Trinity College Theological School, University of Divinity, Australia. Ashley John Moyse is research associate at Vancouver School of Theology, University of British Columbia, Canada, and Trinity College, University of Divinity, Australia.